Winter offers a perfect time for stargazing. On cold clear evenings in Ohio where I live, the night sky seems to be just a little bit closer than usual--especially in contrast to the hazy skies on hot humid nights in summertime. In wintertime, when I’m outside in the evening or before dawn, I can spot an old friend in the night sky. His name is Orion the Hunter. 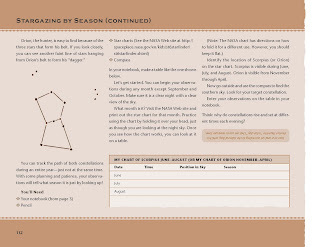 This familiar constellation first shows up in the east late in the fall, continues his march across the sky during the winter, and disappears into the west in April. Every year, I can look forward to following Orion on his winter journey. In fact, I don’t need to know the season. North of the equator, all I have to do is look up. If Orion’s overhead, then I know it's wintertime. 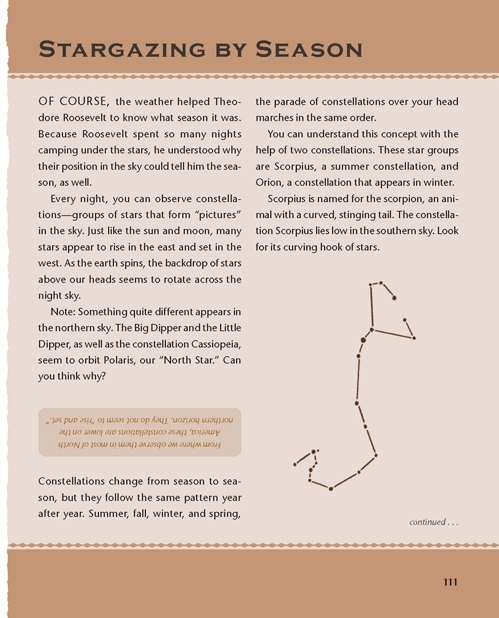 From my book Theodore Roosevelt for Kids: His Life & Times comes an activity to help you discover how two constellations make their appearance during the year. 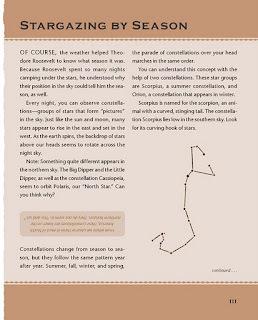 Tonight, get on outside, look up, and discover how my old friend Orion -- or the constellation Scorpio -- tell me what season it is. You'll find some help on the NASA website at http://spaceplace.nasa.gov/starfinder. 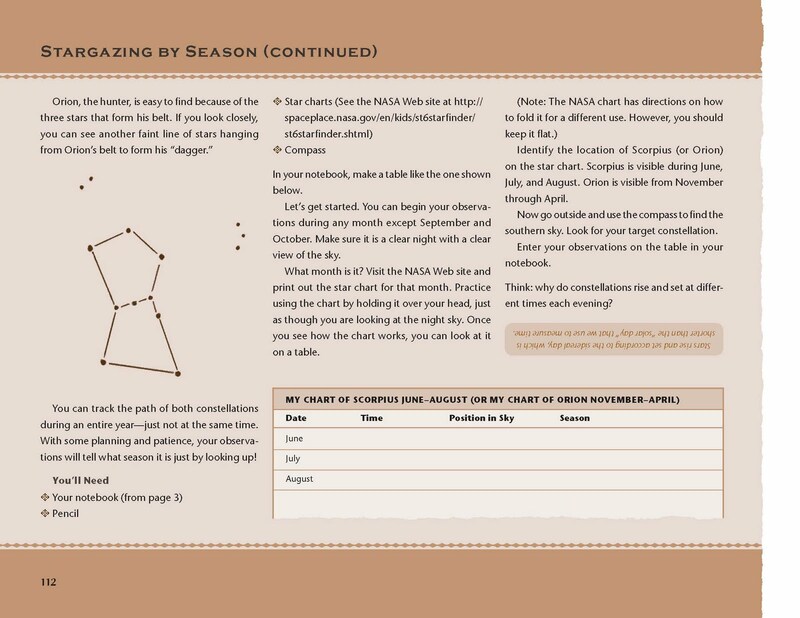 After all the astronomy sessions I've attended with my Girl Scouts, I can still only pick the Big Dipper out of the sky. We love your blog over at Swagger Writers. http://swaggerwriters.blogspot.com/ In fact we've awarded you The Liebster Blog Award. Now it's your turn to pass on the love. I love nonfiction & the way you make it fun for kids (& adults, too)! New follower, recommended by Swagger Writers. 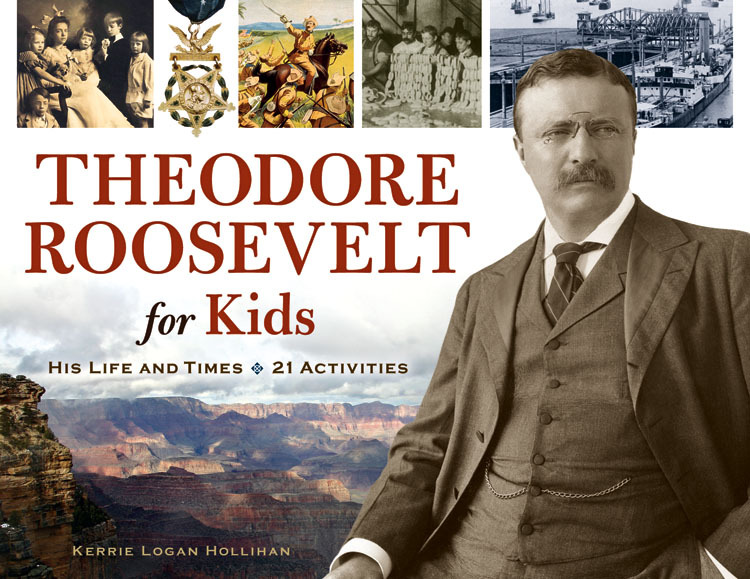 The Teddy Roosevelt book is on my must-have list!